Pretty good case for A&M either being a dark horse playoff candidate or another 8 win regular season team. I think they could be a team to really keep an eye on next season. They'll lose at Clemson week 2 but then they get a couple of layup games at home before a bye week and Bama at home week 7. If they pull one out of their hat that could set them up for a decent run before they finish at UGA and at LSU. I personally think they finish around 9-3 with their losses to Clemson, Bama and UGA or slipping up and beating Bama but then losing to LSU. Either way they should be a pretty fun team to watch here in the next few years. Will be one of our hardest games of the year. A&M is gonna b a dangerous game for a Georgia team that should b coming off a de facto SEC East Championship game victory over Florida and could b ripe for the upset to a hungry A&M team that will probably have as much or more riding on this game as Georgia. Dawgs beware. I thought they peaked against Clemson last year and next really played close to that level again. Especially Mond. If this was a road game i would feel very differently but with it being the last SEC game of the season Athena is going to be rocking. We will have the better roster top to bottom and a significant home feild advantage. They also get a week off before us. They're coming in fresh off of a bye ( Which I didn't know) and we're coming off of hopefully, an emotionally draining victory over Fla in the Swamp. Georgia will most likely b on upset alert that week and if they lose 1 in the regular season (because I cant c 2 losses) this could b it. I'm not confident forecasting aTm this year. Clemson loses a lot this year, right? Maybe the Aggies win that game and beat 'Bama but lose to the Dawgs twice? The won't be able to hold up to our Hosses on the O-line and our defense is fast enough to run with them when they try to spread us out. UGA will be coming off a cake walk three possession victory high, which is worse. But I agree: A&M has the best shot at beating UGA. At least it's a home game which might make the difference. ND will be the glamor game, A&M will have big time importance. We should win, but I predict a scary close game. 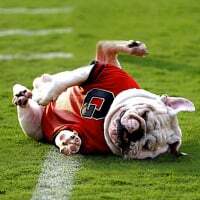 I think that Florida game could b a nailbiter that could go either way but Im going with the Dawgs because of their far superior personnel. But Dan Mullens ability to develope QBs and coach an inferior team up is unquestioned. 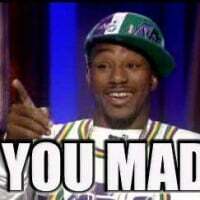 This is Florida were talking about folks, not FIU so I wouldn't go in assuming victory. 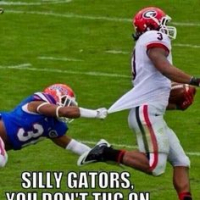 This ain't your big brothers Gators. Dawgs beware. We will certainly face a lot of challenges this year. I looked ahead to 2020 also and we could potentially play Bama three times with a regular season match from the west, a SECCG, and if we split the first two and both teams are otherwise undefeated, both could be in the CFP like last year. No dull schedules in the SEC. I just spent my last 3 years in Aggie country. I know they are more excited now than anytime since Johnny left. They’re recruiting really well and jimbo is a heck of a coach. Mond is pretty good, and jimbo can get the best out of QBs. There were drives where mond took over and was awesome, others where he looked frankly bad. They also have some size at receiver. Losing their rb but that’s a position I’m sure they’ll have some talent at next year. Don’t think they have the depth of an elite squad yet, which matters more since we play them late. Also had some of the worst pass coverage in high level ball last year, but stopped the run tremendously well. Also Kyle field is rowdy, so getting them at home is a big plus. Its hard to say that will be a harder game then @ Auburn... We have yet to beat a west team on the road with Kirby at the helm. Just sayin. It helps if you actually look at the schedule. UGA will be coming off of the Auburn game in Auburn and Texas A&M will be coming off of the South Carolina game. No they don't. They get a week off before South Carolina. Okay sir I stand corrected and yes, looking at the schedule would b helpful but the Dawgs will b on upset alert that week regardless because A&M is a dangerous opponent that can certainly steal that game. I stand by my prediction that Georgia will finish 11-1 with the loss likely coming in Athens vs A&M or at Auburn. I also predict a convincing victory over BAMA in the SECCG. Not a Clemson style shellacking but a thorough convincing won along the lines of 33-24. Noone will score over 24 points on this defense all year long until we meet and beat Clemson for the National Championship. Championship or Bust baby. ALL ABOARD? There are a lot of big games in 2019. As has been pointed out ND will be a big national affair with a ton of eyeballs on Athens. However, for me the biggest game of the year is the Largest Outdoor Cocktail Party in Jacksonville. The Gators closed the 2018 strong with both the team and fan base is riding high. They're also closing in on a Top 10 recruiting class. Right now Kirby is living rent free in Mullen's head and I want CKS to add more couches and Barka lounge chairs to that space. To keep Georgia in the elite program conversation we've got to make it 3 in a row against Florida! A lot riding on this game, including a trip to Atlanta. A&M has a BRUTAL schedule next year. Surely the hardest in the nation. Clemson, Bama, UGA, LSU. For you season ticket holders I'm assuming last year was a bit of a dud. With home games against ND, USCjr, UK, Mizzou and A&M - 2019 should be great. Clemson, Georgia, Bama and LSU? WHEW! The NCAA should intervene on their behalf. Thank goodness we get them at home, and later in the season! Seems like we play better ball toward the end of the season. Agree....Simply put, A&M will be in Year-2 of the Fisher regime. All his schemes will be fully implemented with a lot of players coming back who now know the system front to back. Most SEC coaches tend to be very successful in their second year. It will be a tough out for us.